I clean my battery posts every 2 months, is this nesessary? Ive heard of some kind of grease that you put on the posts that is anti corrosive,any wisdom? Thanks in advance. If people concentrated on the really important things in life,there would be a shortage of fishing poles.Doug larson. Theres a fine line between fishing and just standing on the shore like an idiot. Steven Wright. This stuff has prevented corrosion on numerous batteries I've installed, just paint both the post clamp and the post with it (after cleaning them with a wire brush first) and hook them up. Wipe off any excess, don't cake it on. I used paint and was not happy with it. When you want to use a battery charger or jumper cables you have to file or chip away the paint. Anti seize sounds like a better idea. Available almost everywhere. CT even has some. I use this on lots of stuff. Door hinges etc. 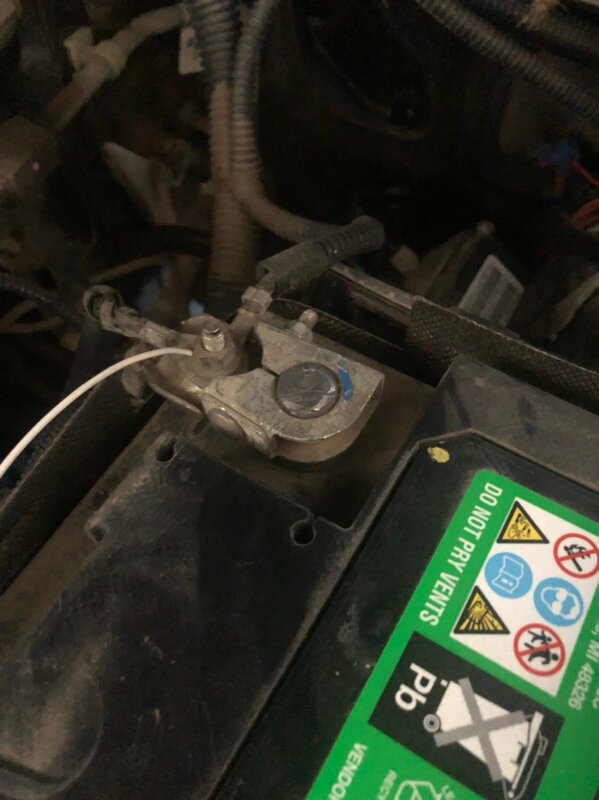 My 2012 battery post / clamps done when new & no corrosion in all this time. I spray on parts when going into long term storage & years later when cleaned off are like the day I stored them. or regular grease(on outside after cleaned and tightened). Never between the post and clamp though. I use dielectric grease (or petroleum jelly/vaseline) and those red/green anti-corrosion pads. So all this grease stuff is applied after I clean it up and tighten up the lugs,so this method will last a long time?Thank you for your replies. Yup. I clean the connectors when I replace a battery. Other than that, things have to be getting pretty fuzzy looking before I will bother cleaning the posts and connectors. I like to clean the posts each fall before rough cold winter sets in. You do not want to find out poor battery connection when out in bush. That's something ive never done wash an engine,isint it possible you could get something wet,and screw it up?like the computer or cause something to short out?Knowing my luck it would never run again lol,Thanks for your 2 cents,appreciate it. i would never wash the engine on any vehicle, regardless if you are only targeting oil, et. driving water into an electrical connection is asking for trouble. 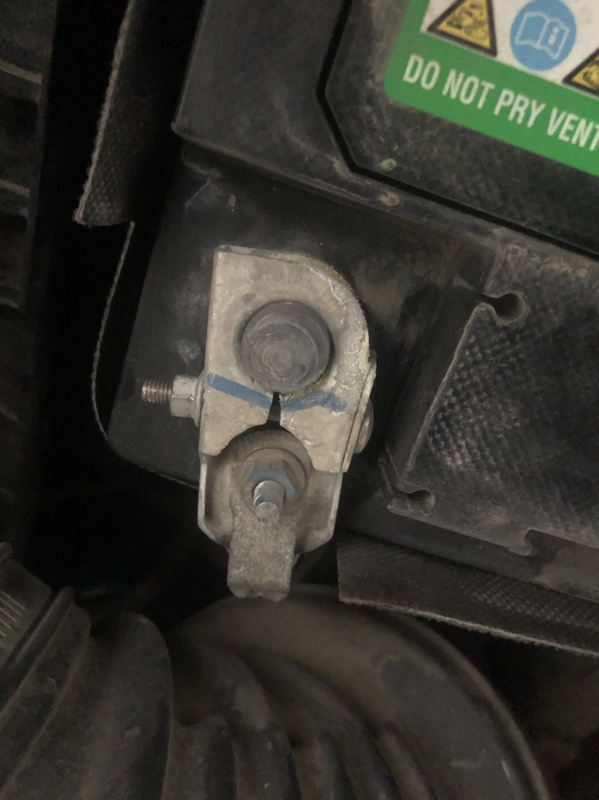 if i were to do this on my early 2000' f150, id be looking at a 1000$ plug removal/dry bill, or 8 hours to do it myself. The question is do they need it? Are they dirty and corroded or are you just wasting time? If they are dirty and corroded, why? They shouldn’t be. Dielectric grease is made to go on the connection before you put it together. On a battery you would clean the posts and terminals, put your dielectric grease on them then put the terminal on the post and tighten it up. The mechanical connection between the post and terminal will smear the grease off where they’re touching and you’ll have the protective quality of the grease everywhere without the mechanical connection. I use it extensively on my Jeep because it sees enough mud and water it needs it. You can also get that electro shield spray you apply after but I’m not a fan of that crap. In contrast to you cleaning your posts every two months, here are pics of the two batteries on my diesel ram I bought new in 2010. I’ve never removed a battery terminal or changed a battery, these are the four posts today, from the factory, with no dielectric grease that I have no plans on cleaning. I have sprayed engine compartment on every vehicle I have owned for 45 years. No, I don't point the wand directly at electrical, nor hold it there. Clean the engine, from a distance clean the radiator( close up can bend the cooling fins ), clean antifreeze, power steering and brake fluid reservoirs, clean the battery and posts, as well as the engine compartment in general. Once I had an issue restarting. The distributor cap had condensation inside. Touch of WD-40, wiped clean and away I went. A clean engine and compartment makes it easy to spot any fluid leaks and any other potential problems right away. Well, each to their own. Never seem to have any problem with corrosion on the battery posts either. Last edited by zabbo; 02-15-2019 at 07:07 AM. I’ve washed my engines for decades and only had a slight issue once with an old one where a quick dry of the distributor cap solved things. A clean engine is one where you can spot things like an oil leak more easily and pinpoint the issue. Just be cautious with where you spray and all is well. Modern electrical connections are all gasketed and watertight. I’ve washed my engines for decades and only had a slight issue once with an old one where a quick dry of the distributor cap solved things. Just don’t blast hot exhaust manifolds or a turbo to avoid cracking those. A clean engine is one where you can spot things like an oil leak more easily and pinpoint the issue. Just be cautious with where you spray and all is well. Modern electrical connections are all gasketed and watertight. if you want a shiny engine, fill your boots. so does it increase HP like a monster sticker on a sled? no really, why do it? 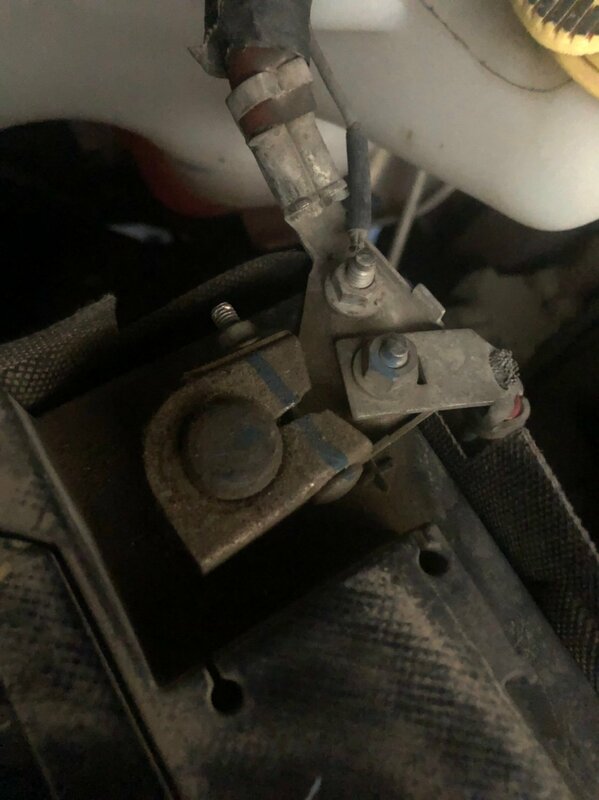 so electrical connectors are made like that so you can wash the engine? news to me. 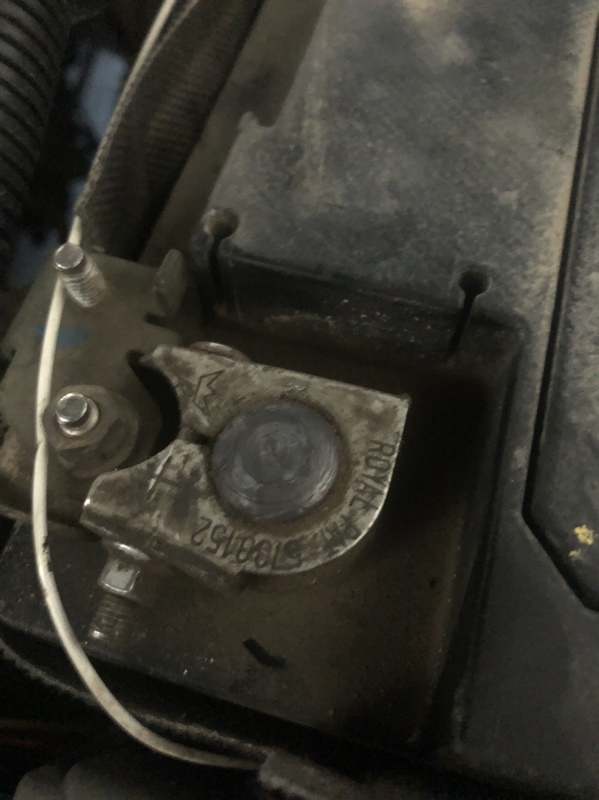 What someone on this forum told me years ago and I found on my 2006 cummins when it happened was the bolt that that goes through the battery clamp corrodes but you cannot see it until you take the bolt out of the clamp. I had a couple of bolts that were eaten halfway through and would have snapped in the future. Probably the dielectric grease on the bolt before the bolt is put into the clamp would help with that. Been using regular grease on battery posts, clamps and bolts for years. Been washing my engine compartments, batteries and rads for years. Never a problem, highly recommended, just use common sense. show me any line or statement, et in any owners manual for any vehicle where it states for maintenance, operation, longevity, performance, et, it is required to WASH your engine compartment, engine, or associated components. find that for me and i will retract my statements. if not, then its just not needed. but if you want to do it, go ahead. just dont try to justify it. Who would of thought a thread about battery corrosion could lead to so much hilarity? I too wash under the hood for many reasons and never had a problem. Mostly to keep it clean which is the obvious answer. The spin off is I can see leaks and it makes it easier to work on. 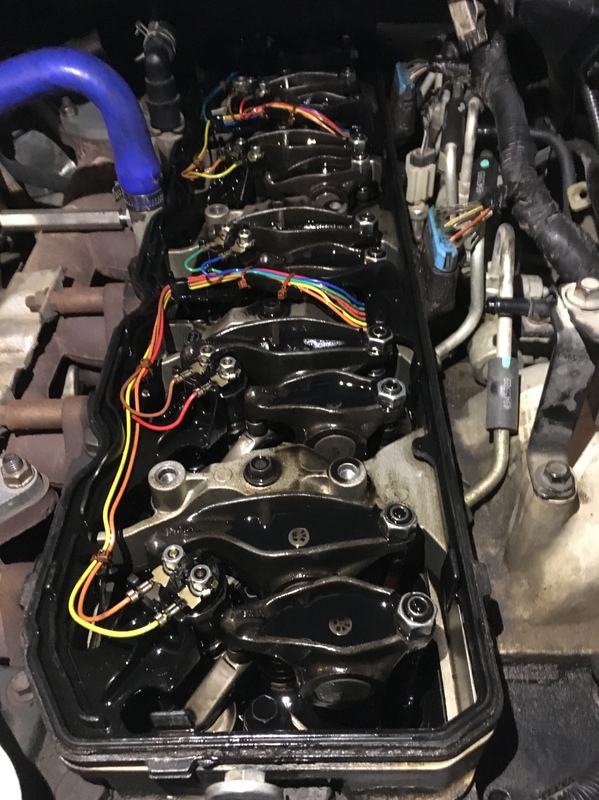 I wouldn’t be doing a valve set on my 6.7 Cummins if it looked like a brothel under the hood. No I expect it clean before I pull the tapped cover off. Heck changing anything under the hood is easier if it’s clean. I didn’t get any cleaning instructions telling me to clean the outside, inside or under the hood of my vehicles. That doesn’t mean I dont clean them. I know the inherent dangers of cleaning and know how to mitigate the risks. I originally read the post and didn’t respond because if a guy doesn’t know how to clean under a hood or believes it shouldn’t be cleaned he probably has no business under there with 1500 psi of water because he probably doesn’t know what not to spray. Makes a guy wonder though... How do these guys figure out how to clean in the cab? Does the owners manual instruct you not to take the pressure washer in there or does it not need to be cleaned either?